To build a multilingual CMS driven website for DLV. 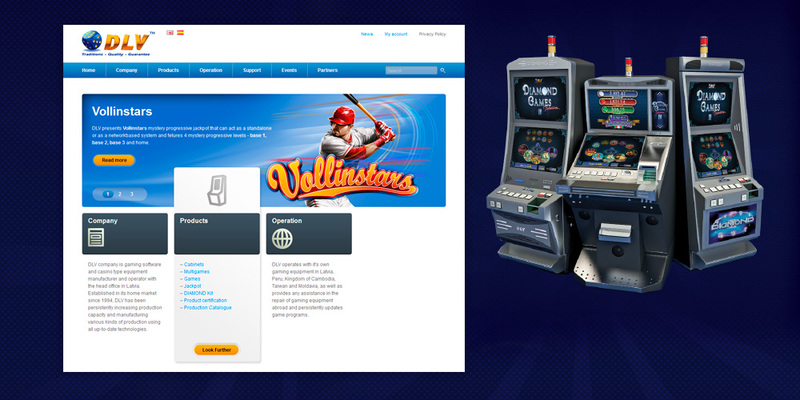 Gaming software and casino type equipment manufacturer and operator with the head office in Latvia. Established in its home market since 1994. DLV operates with it’s own gaming equipment in Latvia, Peru, Kingdom of Cambodia, Taiwan and Moldavia, as well as provides any assistance in the repair of gaming equipment abroad and persistently updates game programs.